As 2014 begins, I've joined Julbo sunglasses as a new sponsor. I first tried a pair of Julbos when I won a free pair during the low-key hill challenge the day before Western States. I really like the variety of styles available, as well as the athlete-driven designs in the Performance line. My favorites so far are the Dust (you see Ian Sharman in these a lot) and the Ultra. Both have Zebra lenses, which change according to external light conditions. This is extremely useful running trails, as once you hit a tree-covered section of trail, you rarely want dark shades. The Zebra lenses lighten right up so that you can still see the subtleties of the trail. 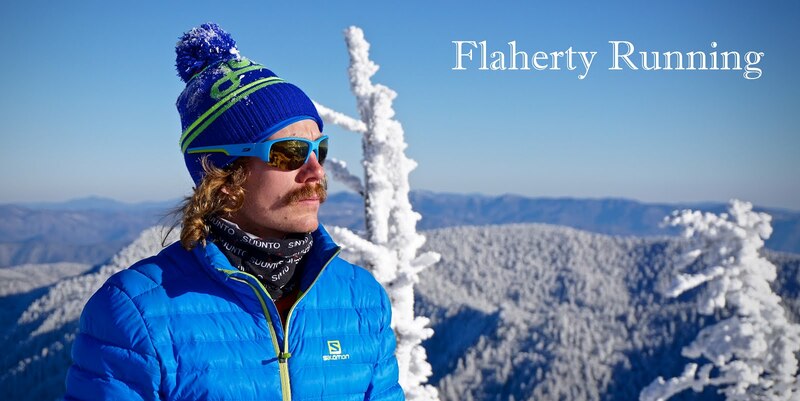 My Julbo athlete profile can be found here. And they also did a welcome to the team interview on the Julbo blog, here. Additionally, I have begun tracking my training on Strava. My Strava athlete profile and all of my training can be found here. I may still post some training updates here from time to time, but the day-to-day can be seen on Strava. Finally, I've been thinking more about my 2014 plans of late. I felt 2013 was a successful comeback year after a nearly full year of injury in 2012. I took a much needed break—close to two week of no running—after the TNF 50 Champs, before slowly ramping the mileage back up over the past four weeks. This week I should be over 100 miles again and I'm adding in some light workouts. I more or less have my entire 2014 planned, but some of the later races aren't set in stone yet. What I do know for certain is my schedule for the next three months. First up is the Psycho Wyco 50k in Kansas City on February 8. Scott Gall set a stout CR here last year, and I believe he'll be back to defend his title and record. My buddy Mark Thompson (two time Fall 50 winner) is coming as well, so we should have a fun one! My Salomon teammate David Wakefield is running the 10 mile and will be my gracious host for the weekend. Next, I'll be returning to the Napa Valley Marathon on March 2, where I was fourth in 2:25:39 last year. That was on just a few months of consistent running and very few workouts. Hopefully this year I'll be nearer to 2:20. I won't be training specifically for it, but I should be getting fairly fit by then. Finally, I'll head up to Madison for the U.S. 100km National Road Championships, hosted once again by Tim Yanacheck at the Mad City 100km. I'll be hoping to add another national title to my U.S. 50 Mile Title, but I'll face formidable competition from (I think) Zach Bitter, David Riddle, Eric Senseman, Mark Thompson and others. The winner at Mad City gets an auto selection to the IAU World 100km Championships in Latvia this summer. Many of the other members of the 6-person team will likely be selected here as well. I've got two current qualifying marks (my 5:28:11 at Tussey Mountainback and 5:44:37 at JFK), but they aren't a guarantee for team selection, so I'll be throwing down in Madison. Strava is a great platform for all Athletes. You already have 115 followers! Keep up the good work.